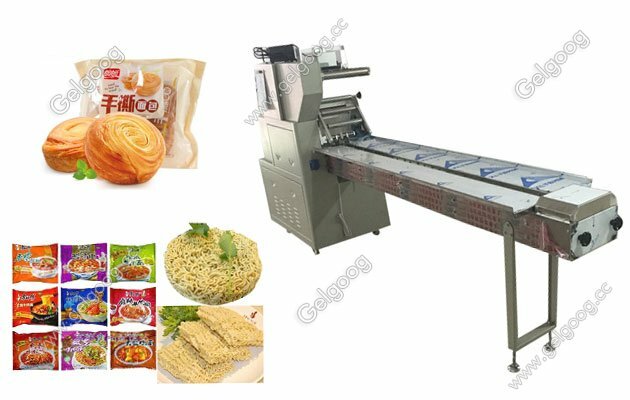 The machine will automatically complete all packaging processes from measuring, feeding, filling, Printing ,finished bag. 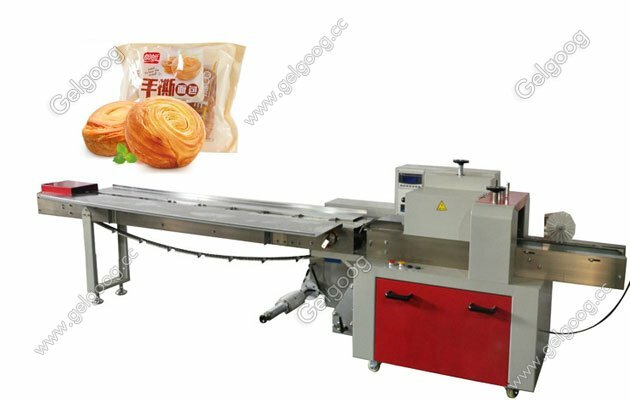 Flow Wrapping Packing Machine for Instant Noodles|Moon Cake|Bread The Instant Noodles|Moon Cake|Peanut Brittle Flow Wrapping Machine is suitable for packing food, solid, plastic products,ice cream biscuit,bread,mooncake and other kinds of daily necessities cartons or pallets packing regular objects.According to the export interface parameters of different production lines, the bracket of Transverse Feeding Device can be designed to 8, 10, 12, 14, 16 and18 etc. For different production scale, the output interface of transverse feeding device can be set to single-passage export and double-passage export.For different power source, transverse feeding device has passive type and active type. Input power is supplied by the production line and packager in certain driving proportion. Transverse feeding device itself does not have capability to adjust speed.Self-supply power. The supervision and module can be controlled and checked through PLC, stepless shift, timing, which can realize the synchronous running of production line, transverse feeding device and packager.All contact parts are made of stainless steel.Optional electronic color code tracing device to make sealing and cutting positions accurate.Fault self-diagnosis function, clear failure display, Positioned stop function, without sticking knife or wasting film. 1. The machine will automatically complete all packaging processes from measuring, feeding, filling, Printing ,finished bag . 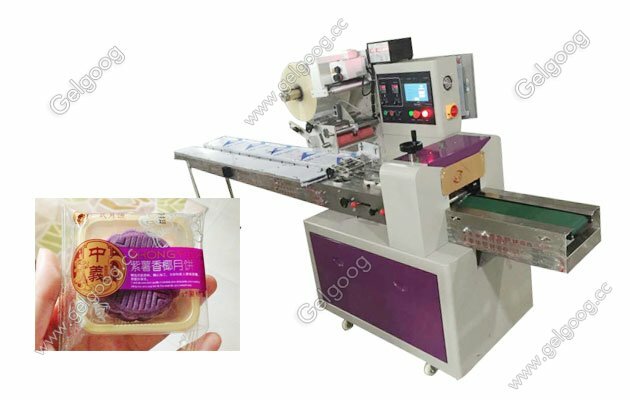 2.The way of bag making: the machine can make pillow-type bag and standing bag according to customer’s requirements.Punching hole bag & connect 5-12bags and so on . 3.The machine operation is controlled by touch screen. All machine function is displayed on monitor to be easy operation. 5.Independent temperature control system, the precision can reach plus and minus.